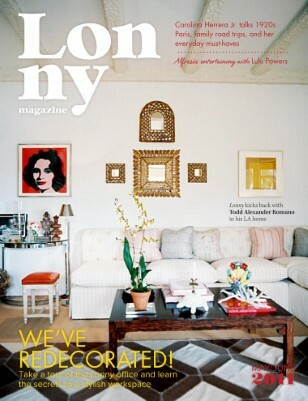 Launched in October 2009, Lonny is a bimonthly online magazine that focuses on lifestyle and home decor. 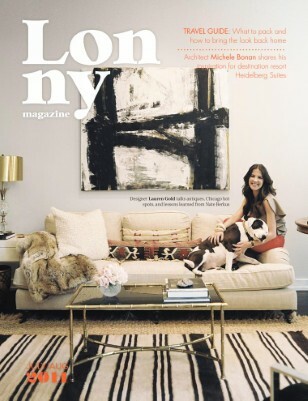 Founded by designer Michelle Adams and photographer Patrick Cline, Lonny highlights extraordinary interiors, innovative bloggers, and the latest market finds. 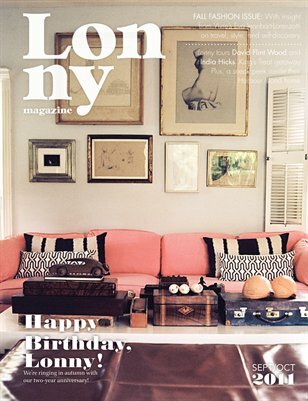 Lonny has been featured in Vanity Fair, The New York Times, and blogs worldwide, and has highlighted design luminaries ranging from Cath Kidston to Kelly Wearstler. 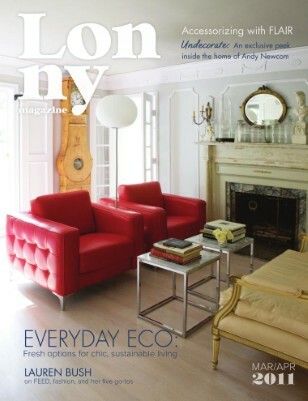 At Lonny, we believe in making design choices that lead to personal happiness. We value individual style and independent thinking, and are convinced that inspired design can be achieved anywhere—from the smallest studio apartment to the grandest estate. OUR MISSION is to open the doors to accessible design and connect our readers to their favorite products and resources at the click of a mouse. Our freedom from page limits means that we can share more content in each issue, delivering an intimate look into the way people really live.